Many ERIKS Engineered Plastics can be delivered directly from stock. 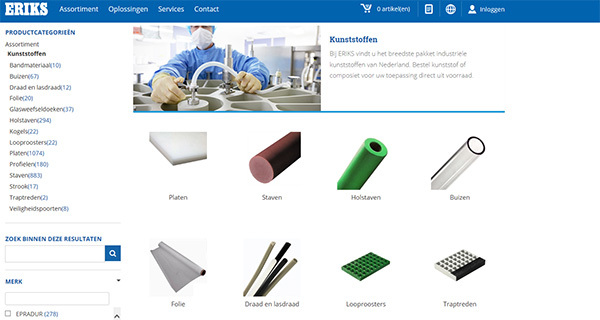 In our international web shop you will find a large assortment sheets, rods, pipes, foil, grates and profiles. Click here for the webshop in the Netherlands, Belgium, Luxembourg, France, Switzerland, United Kingdom and in Germany.